“Without devotion, there’s nowhere we can go because devotion is the recognition and trust in our own goodness qualities, and how we glorify and share them with others. Eventually our interest, joy, and appreciation develop so much that they become confident and unfailing devotion, which is so deep and powerful. By using our reasoning and the experience and knowledge we gain by applying the teachings, we develop a confidence in our own goodness qualities and in the genuine goodness of others. We really feel that this is how the nature is, and we want to express our true nature of love and compassion without any fear or hesitation. Based on this understanding, we begin to engage in the teachings with an incredible sense of joy and appreciation. Photo of Ven. 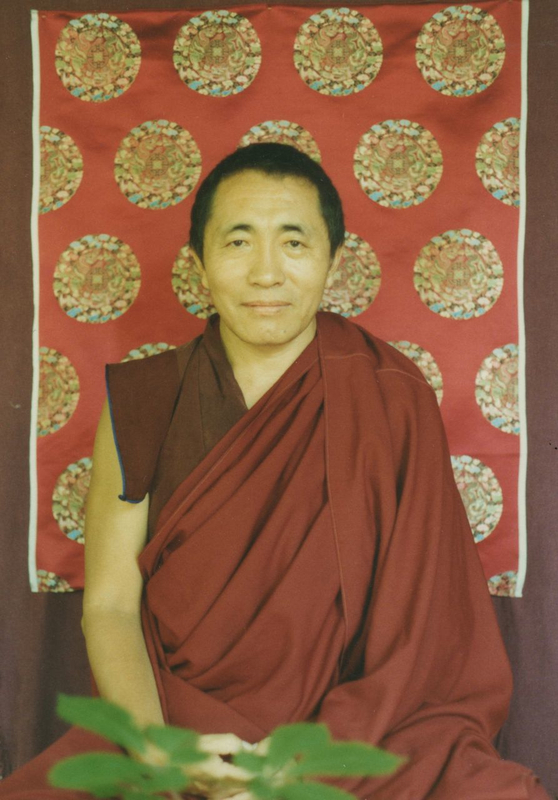 Khenchen Palden Sherab Rinpoche from the 1990s.